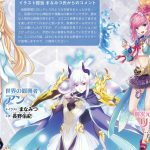 Famitsu’s website revealed today that Idea Factory and Compile Heart announced Mega Miracle Force, a Strategy RPG for smartphones, in this week’s issue of the magazine. 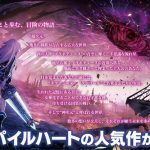 Mega Miracle Force is a project created to celebrate Idea Factory’s 25th anniversary, which will be celebrated in 2019. The game will release in the latter half of January 2019 in Japan, and pre-registration will begin on November 29. 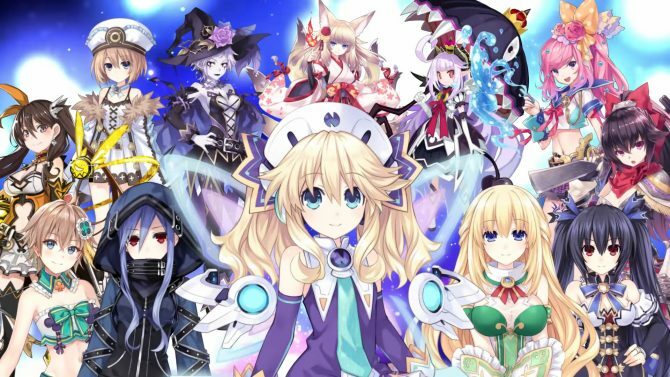 Mega Miracle Force is a crossover, featuring many characters from multiple Idea Factory and Compile Heart games, like Neptunia games and Death end re;Quest. 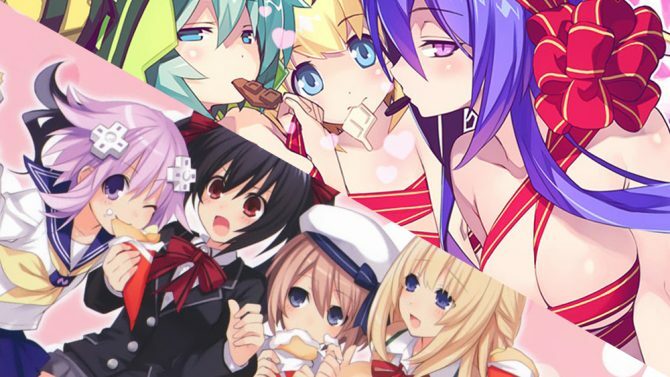 Moreover, the game will have a special “Miracle” system that will “definitely please fans of Compile Heart games”. 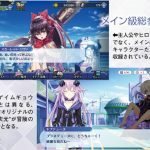 This “Miracle” system will activate when “two characters of different games meet each other”. The system will be detailed in the magazine. Mega Miracle Force’s official site isn’t fully opened yet, and for now only features a video of an experiment: “is it possible to make a great game by using hypnotism on game developers?”. 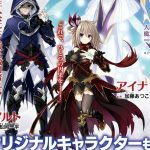 The official site will probably be updated when Famitsu releases. You can find below some previews of the Mega Miracle Force pages in this week’s Famitsu, and the game’s first key visual. More details will be revealed when the magazine releases. 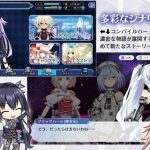 Update: Here’s the game’s information from Famitsu. The preview pages in the gallery below were replaced by higher resolution scans of the magazine as well. 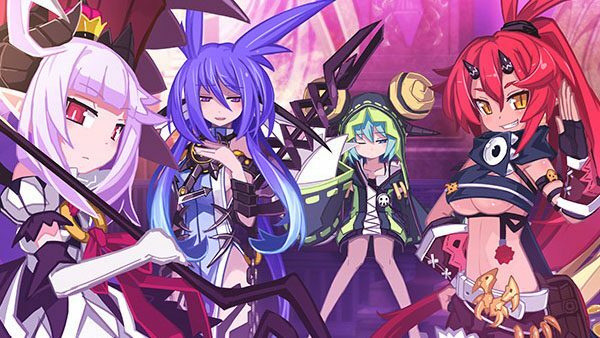 Mega Miracle Force is an all-star game which will include characters from games and series such as Neptunia, Spectral Force, Generations of Chaos, Fairy Fencer F, Genkai Tokki, Omega Quintet, Trillion: God of Destruction, Tokyo Clanpool, Death end re;Quest and more. 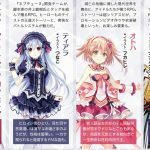 The teased “miracle” system is the inclusion of new characters, born through the fusion of 2 characters from a different franchise. The first one revealed is the scythe-wielding girl, Hirotune. 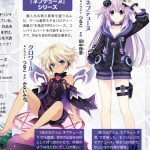 She is the result of a fusion between Neptunia‘s Neptune and Spectral Force‘s Hiro. 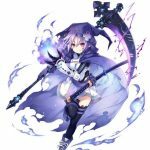 Hirotune is described as “the purple flames wielding death god” and was designed by Tsunako. Both Alto and Aina are described as enemy characters who look similar to the game’s main characters. 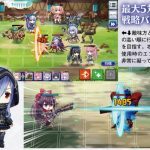 As with most mobile games, characters can be obtained through a gacha. All characters have a set rarity, however, all characters can be upgraded by certain means to reach the highest rarity in the game, which is five stars. That way, you can keep using your favorite characters without worrying about their rarity. The game has a main story and sub-scenarios, and more of them will be added as the game goes on. The battle system requires you to create a party of five characters and fight a group of five enemies on a map divided into 7×5 tiles. Characters are represented in SD during battles. You can move your characters around the map, attack and use skills. Some skills have special properties, like knocking back opponents. There is also a “Link Card” system. 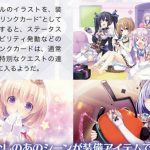 Multiple CG illustrations from various Idea Factory/Compile Heart games are included in Mega Miracle Force in the form of cards. You can visualize them to look back on some iconic scenes from these games, and you can equip the cards on characters, granting them various benefits. Mega Miracle Force’s theme song is “Toraware no Mirage”(The Imprisoned Mirage) and will be sung by idol group Erabareshi. 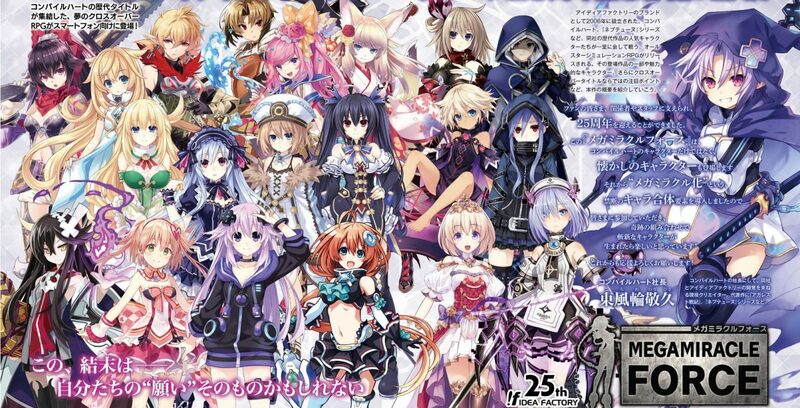 The single releases on January 23 in Japan, which should be very close to the game’s launch. Here's the opening sequence for mobile tactical RPG Mega Miracle Force. 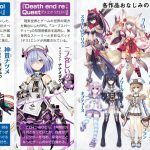 Chara Designer Tsunako goes freelance but will keep working on Idea Factory games.